International Stem Cell Corporation ( ISCO), a California-based biotechnology company developing novel stem cell based therapies and biomedical products, announced yesterday that it has received formal opinion from the Advocate General for the European Union Court of Justice (CJEU) in favor of the Company's pending core technology patents on parthenogenetic stem cells. "A favorable ruling by the CJEU in this case would give ISCO a unique advantage. 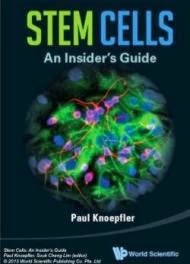 Having the ability to seek patent protection in all 28 counties of the EU would not only enhance our ability to attract partners to develop stem cell therapies, but could also stimulate further investment by pharmaceutical companies who up to this point have been somewhat on the sidelines in part because of the intellectual property risks." commented Dr. Andrey Semechkin, the Company's Co-Chairman and CEO. The European Union's highest court was asked to clarify whether its interpretation of the EU Directive on Legal Protection of Biotechnological Inventions ("Biotech Directive") in the 2011 Brüstle vs. Greenpeace case excluded ISCO's core technology -- parthenogenetic stem cells -- from patentability under the EU law. According to the Advocate General's interpretation, the Biotechnology Directive should not prohibit patenting of parthenogenetic stem cells.